(30 September 2016) – The large scale roll-out of electric cars on EU roads will help fight climate change but more electricity will have to be generated to power the vehicles which, the European Environment Agency (EEA) has warned, could have its own impact on global warming. 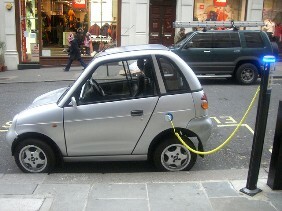 The European Environment Agency this week said that larger numbers of electric vehicles will not be enough to make to the transition to a low-carbon economy. The EU’s transport sector still depends on oil for 94% of its energy needs. The reductions in carbon dioxide emissions in road transport gained from the scaling-up of electric vehicles would outweigh emissions caused by the continued use of fossil fuels to generate the extra power needed to keep the cars on the road, the EEA said in a report. But in countries where more electricity is generated through polluting fossil fuels, the environmental benefits will be lower, according to its analysis.